"Growing up in an abusive, alcoholic home and surviving racial inequality, Bill is no stranger to hardship. In this talk Bill walks through the “Twelve Feathers of Healing” that he developed to overcome and reconcile his past. He takes his audience from the shallows to the depths and shows how to face the storms of life by being led by the spirit, ultimately coming out victorious and blessing others." 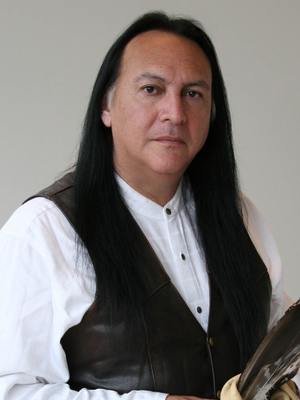 After a brief review of his Mohican tribal history and an intimate look into his native culture, Bill shares three personal stories. His journey from victim to victory is charted and he illustrates the wisdom of “the twelve feathers of healing” to model his vision of transformation through reconciliation. Bill illustrates the relationship between majority and minority cultures, the ineffectual result of teaching tolerance and assimilation, and instead promotes a redemptive culture of understanding and peace. "To the tribes of the plains, the tipi is much more than a place to live. In this talk Bill walks through the symbolic elements of the tipi and explains how the natives used all of the resources they had along with their heritage and spiritual beliefs to build the perfect tipi. This message of staying true to oneʼs self comes from a man who has lived out these truths in his own life and been honored with 3 Grammy awards as a result." 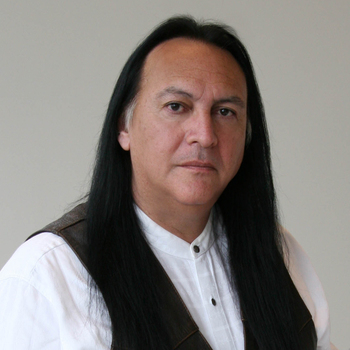 As a Native American, Bill shares a fresh perspective on environmental responsibility. His emphasis is on the holy and whole aspects of the earth and how they can enrich daily life. By sharing how the sacred ground influences his art, music and spiritual path, Bill demonstrates a new model for preserving, protecting and honoring the planet.